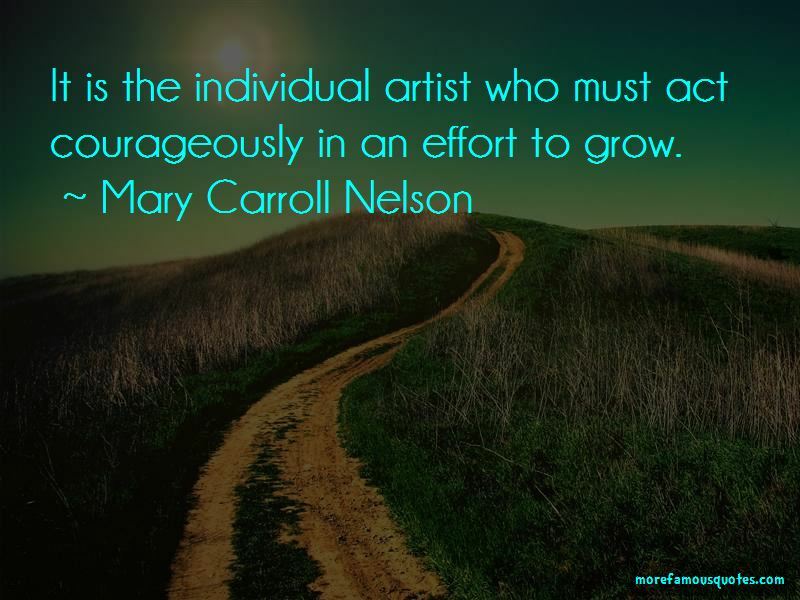 Enjoy the top 3 famous quotes, sayings and quotations by Mary Carroll Nelson. 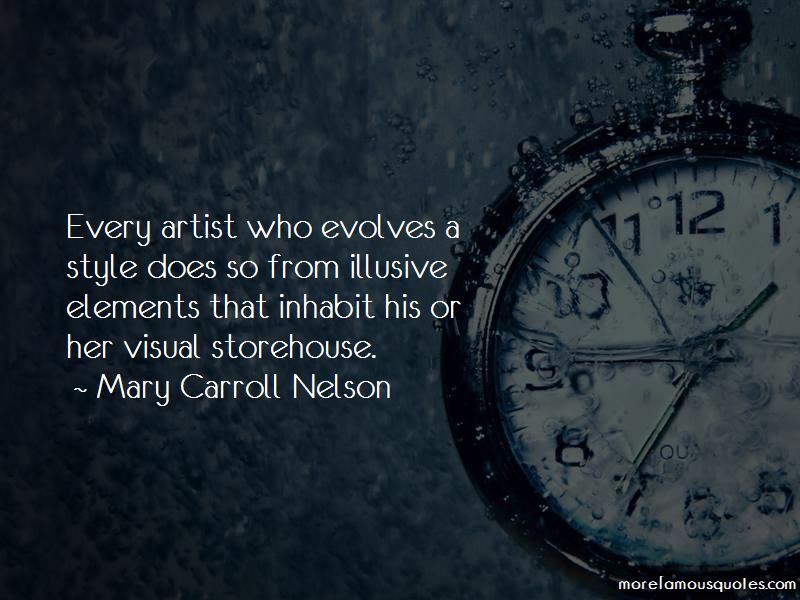 Every artist who evolves a style does so from illusive elements that inhabit his or her visual storehouse. Want to see more pictures of Mary Carroll Nelson quotes? Click on image of Mary Carroll Nelson quotes to view full size.